Jummai Joseph, thirty five, an indigene of Kaffin Gwari, a community in Rigachikun, Igabi local government, Kaduna State, Southwest Nigeria, was rushed to a hospital about 10 kilometres away from her home to deliever her fifth child after two days of child labour at home due to lack of health facility or trained birth attendant in her neighbourhood. 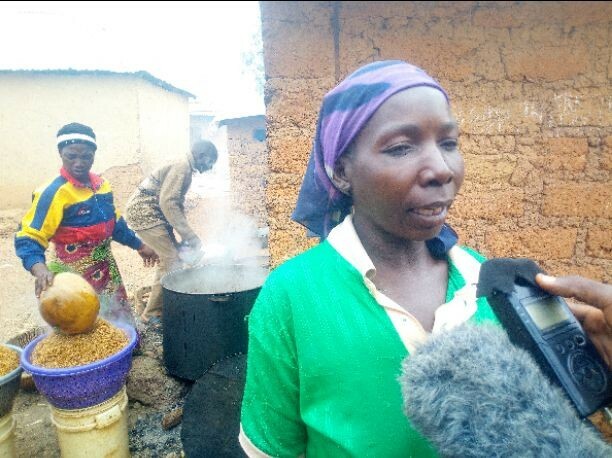 Though she survived the trauma after giving birth to a stillborn through C-section at another public facility in Kawo, Kaduna North local government area of the state, but not without developing Vesico Virginal Fistula (VVF). immediate causes of her own was non availability of health facility or trained birth attendant in her catchment area which led to delay in accessing health care service at about ten kilometres away from her country home to give birth to her fifth child which she never returned home with. “I experienced prolonged labour and developed complications during my fifth delivery. I was rushed to a public hospital in Kawo, Kaduna North local government area for medical attention where I gave birth to a still born through operation. I’m not directly blaming the surgeon, but at the hospital, there was delay in getting doctor to attend to me which I want to believe contributed to the loss and pains. “Then after, I came back home. Meanwhile it was never occurred to me that the prolonged labour had led to VVF until after some days when the urine is coming out on its own. I was taken back to the hospital in Kawo where it was confirmed that I had developed VVF. “But they said they don’t repair the medical condition there and they referred me to a VVF centre at HajiaGambo Sawaba hospital in Zaria for repairs where a lot of out-of-pocket was spent. “Since I became victim of VVF, my life has not been the same. I gave birth to four children without complications not until the fifth one which led to this and I still lost the baby. “If everyone will play his or her role very well, I think we will have lesser number of maternal, newborn and children dying when they can actually live. Let the government play its role by make all the primary health centre functional and stop playing politics with health, trained workers play their role by developing good attitude towards their patients and then families-healthworkers relationship improved upon so we can collectively blot Nigeria from the world bad record of countries where pregnancy is a big risk”, she opined.